I’ve seen reports online of folks installing Chrome for iOS, and deleting it before the day is out because it’s a dog performance-wise. Me, I’m holding off until the dust settles. Happy with Safari. I’ve never really liked Safari, myself — could be just that I have to jailbreak to officially change it and am therefore stuck with it, though. On the iPad, I especially hate it. It is ridiculously crash-happy. The unfortunate truth about Chrome, however, is that, while when it works it’s fast and slick, when it hangs, it’s really annoying — which would explain why some people would drop it. I’m going to stick with it, though, I think. I hold out hope for the future and love the syncing. 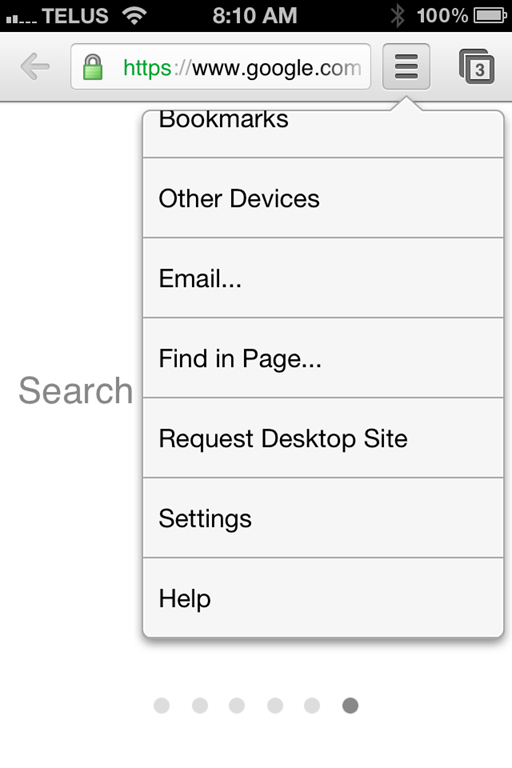 I’ve scanned review pages to find out if anyone is reporting on the inability to print from Chrome for iOS – I cannot find a print command in any of it’s menus or widgets! 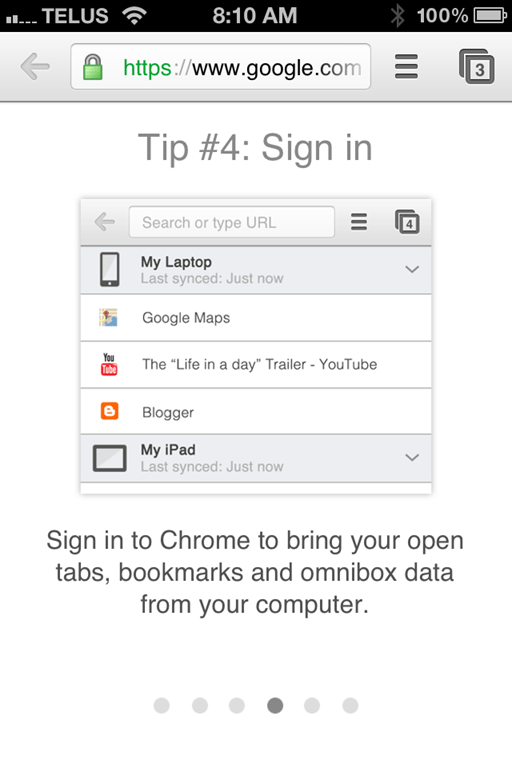 Can Chrome for iOS print? A deal breaker for me if it can’t. Sorry, Steve, I can’t find that feature either. Bit odd, that — and good catch. You would think that Cloud Print would be enabled, at least. I’m hoping general sharing features will be in an update (one that comes out very soon). 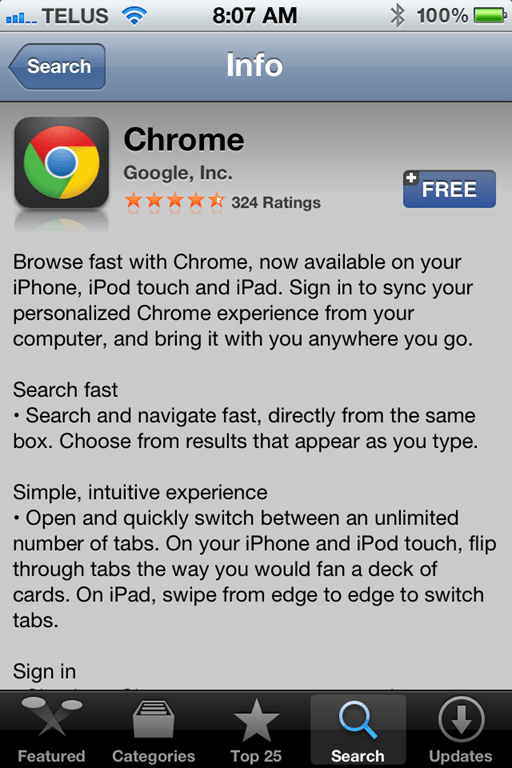 It’s probably just me being pedantic, but Chrome is not really a browser for iOS — it is merely a front end. The interface and the syncing alone are enough to keep me, and the browser seems to be generally more stable (at least than the iPad version, which is terrible). 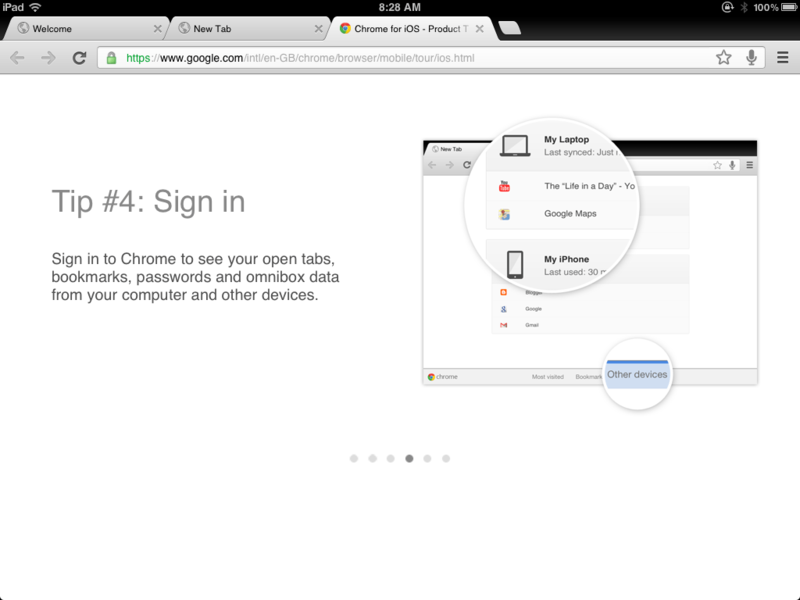 It sure looks nice, but I doubt it can match iCab Mobile in terms of functionality, e.g. file down/upload, save webpages as PDF etc. 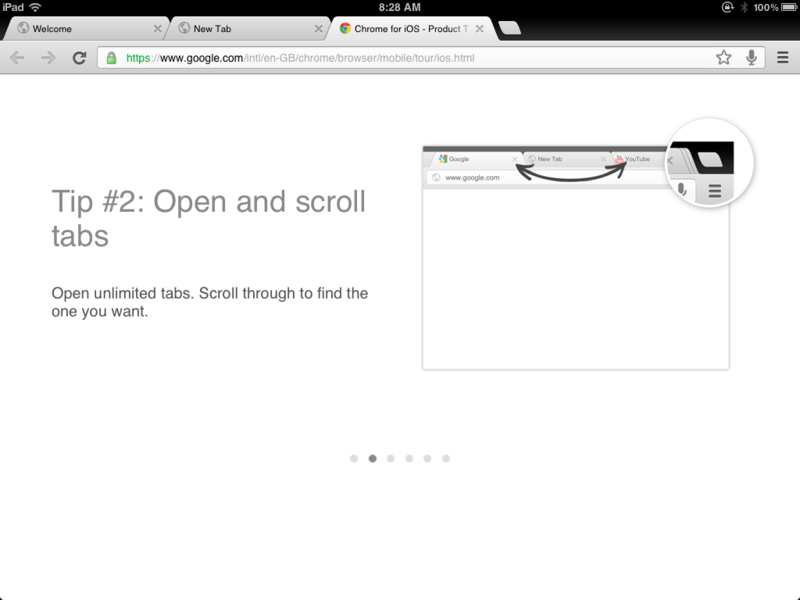 That functionality is the only reason why I use another browser alongside Safari. 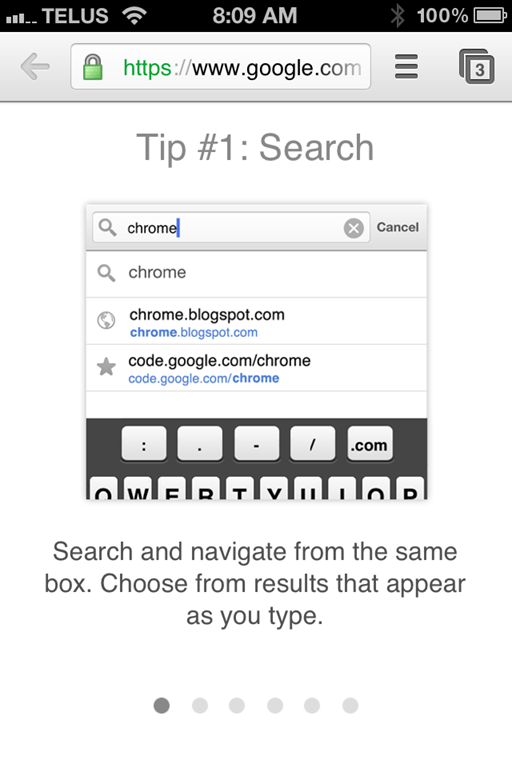 I find it so annoying that links still open in Safari because you can’t set a 3rd party browser as default in iOS. Also, I recently went back to Firefox on my desktop because I can’t live without PDFit and Flash Downloader and couldn’t find Chrome add-ons to replace them, so there’s no bookmarks to sync (plus I think iCab can sync bookmarks via Dropbox, but I’ve yet to try it). Back to Firefox, eh? 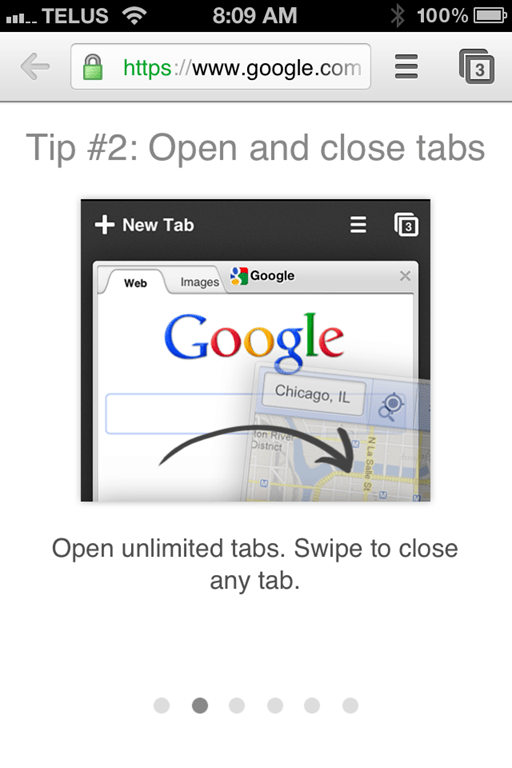 Still a great browser, but I could never do it. 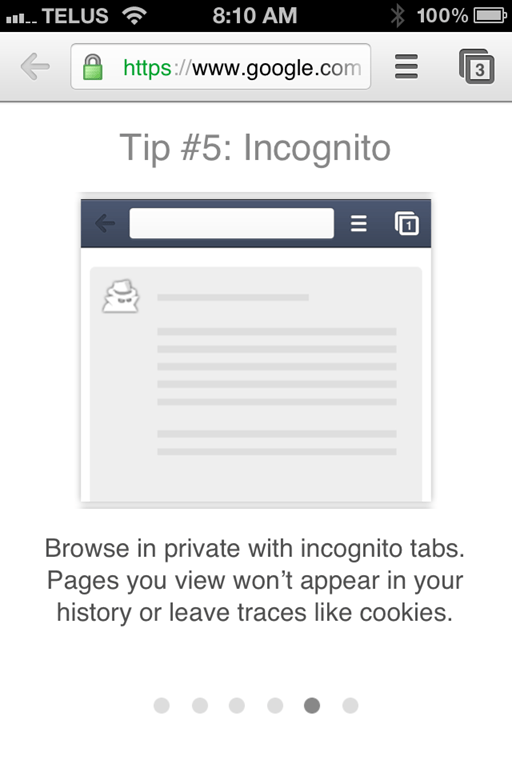 I admit it… Google got me. 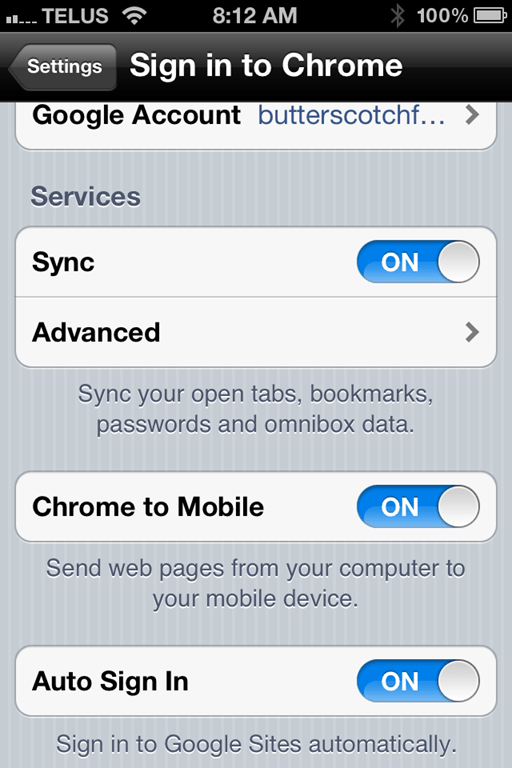 And you could fix the links opening in Safari problem, if I recall — but only with a jailbreak. I know, but I’d prefer not to jailbreak. 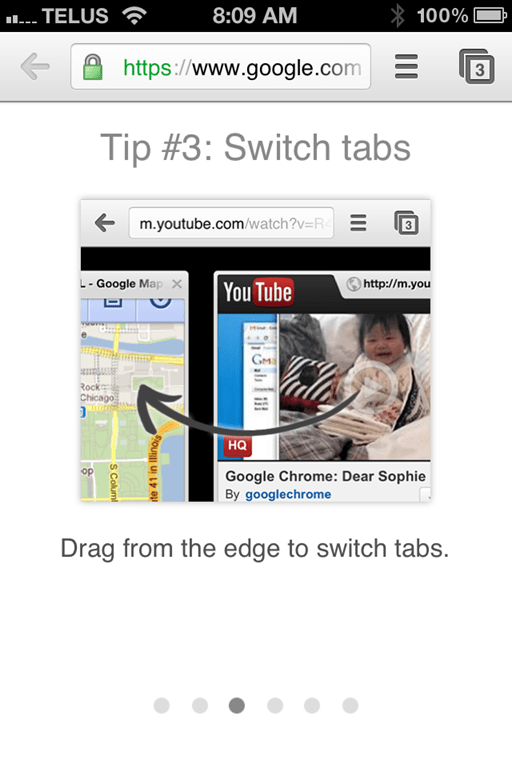 Syncing tabs isn’t an issue for me, but doing research at home and on the go is. Unfortunately, that involves PDFing and downloading flash video and that doesn’t seem possible to the same standard in Chrome. The one thing I truly miss in FF is automatic translation of foreign language web pages, but other than that I never quite understood the appeal of Chrome. Perhaps because I don’t use apps? Oh, I’ll eventually get to wanting to sync my bookmarks as well, but I recently replaced my netbook with an iPad and, as a result, had to abandon Evernote as my primary database, so I have other priorities ATM. I’m on the way to rebuilding my workflow and I think it will actually be better than before, but it’s so much work! 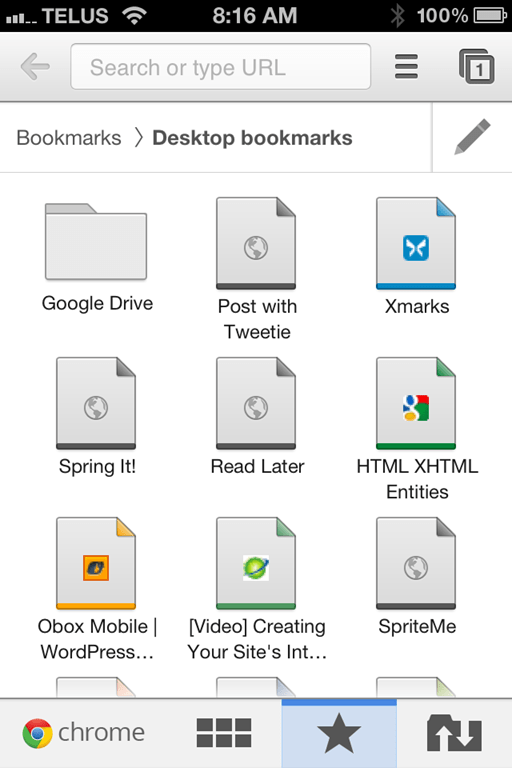 Also, I have A LOT of bookmarks on my desktop, so having fever – and different – bookmarks on my phone is quite nice. Often they are the mobile version, rather than desktop version of a website as that loads faster in areas of poor coverage. Cleaning out my bookmarks has long been on my to-do list though, so once that’s done I’ll surely look into syncing them to my phone as well. 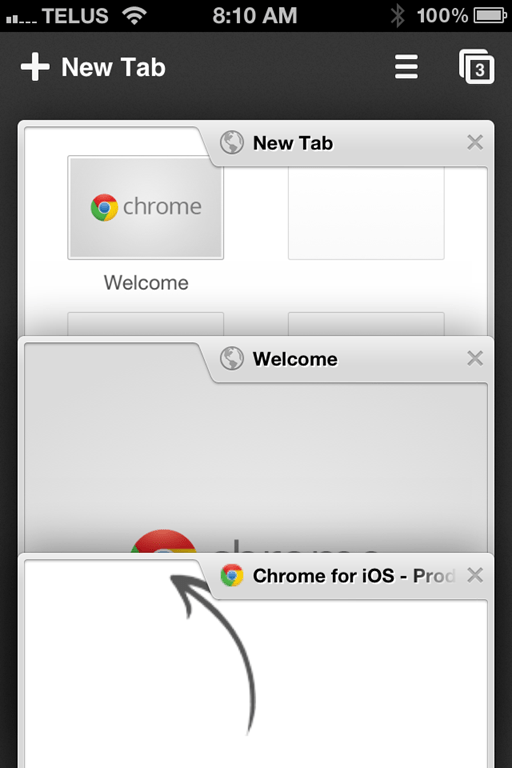 Isnt what apple (safari) is doing to chrome like what Microsoft did to Netscape back in the day? 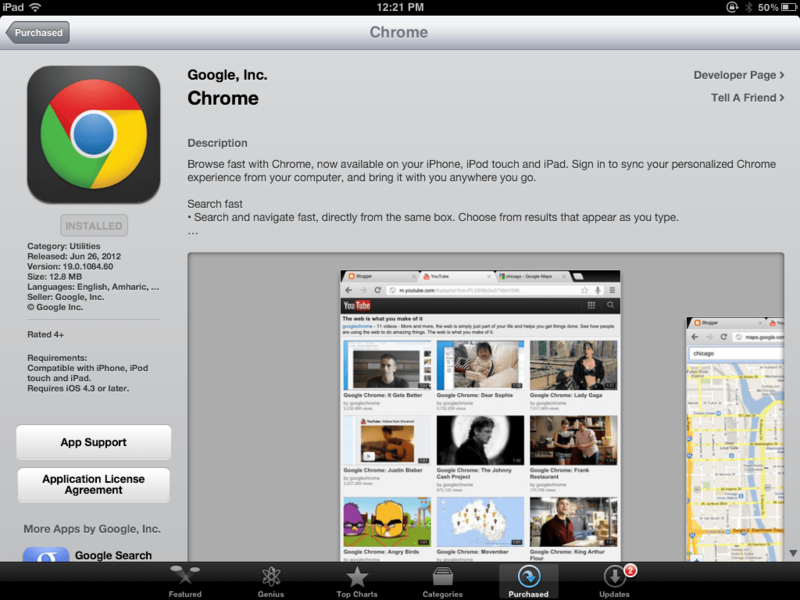 Ps: I’m typing this from chrome on an ipad3, apple is a wickedly evil company though. Thanks to our conversation I finally cleaned out my bookmarks and synced them with iCab via Firefox Sync, including tabs and history. Seems to be working well for the moment.